Don’t you just love getting presents? I do. 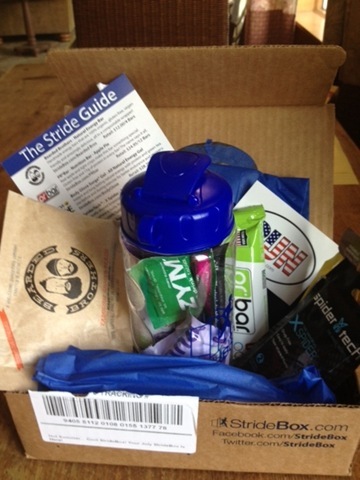 I signed up for subscription to StrideBox so that I could get a present in the mail every month. It’s a present from me to me and for $15 a month, I’m all for it. First, you go to the mailbox. 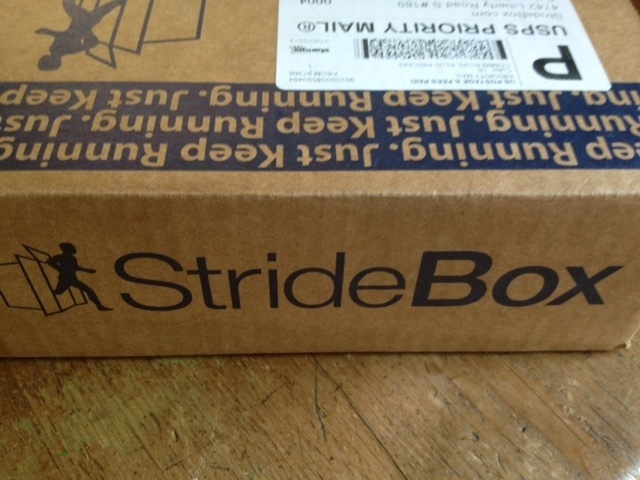 When you see your StrideBox box, you do a happy dance. Second, you carefully open the box. Third, you excitedly, but carefully, remove contents from the box and arrange them so they look pretty enough to photograph. Fourth, you take everything out, examine it, read about it, add up the value of the StrideBox contents to see if your $15 was worth it, figure out what looks tasty and what looks not so tasty, then decide if you are going to share the energy foods with your spouse who is training for a century bike race. Okay, maybe that last one is just for me but either way, you can decide if you are going to share with anyone or not. Fifth, start sampling the goods and take notes on items you would purchase in the future. 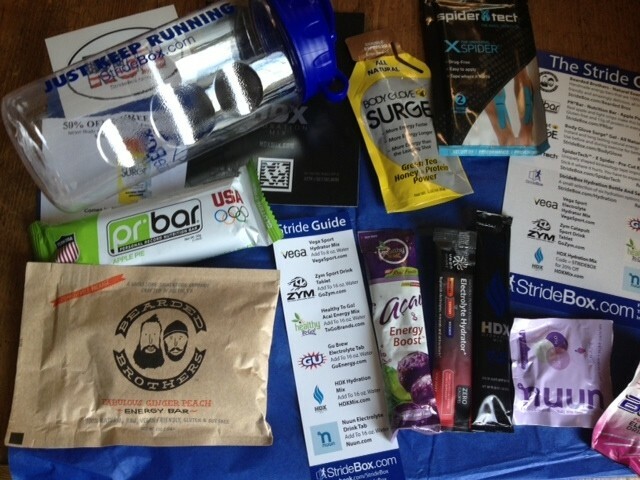 A water bottle and samples of 6 different hydration drinks. Sample of magic sports tape. I’m totally intrigued about the magic part. A full size PR Bar energy bar – apple pie style. An energy bar by Bearded Brothers. Fabulous Ginger Peach…sounds tasty. The subscription has been fun so far and if I get tired of it or can’t afford it, I can stop at any time. I love presents which is awesome because July is my birthday month! Yessssssss! 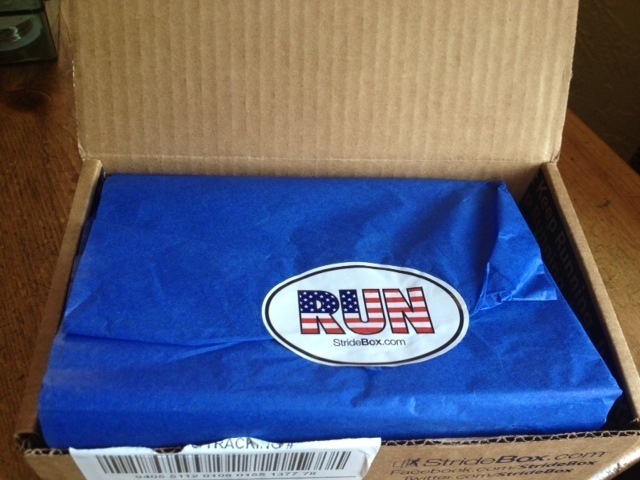 Posted in Uncategorized and tagged runner, running, running accessories, stridebox. Bookmark the permalink.